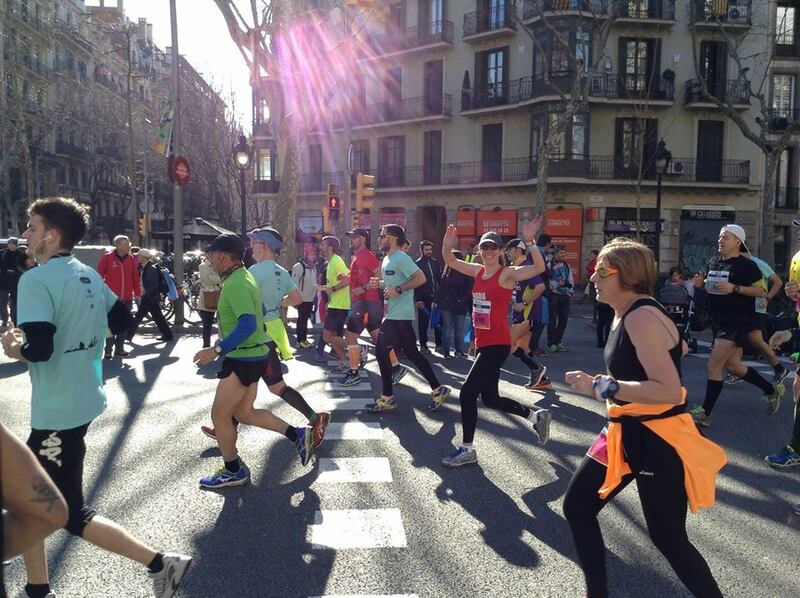 Running the Barcelona Marathon (while I was still feeling strong). city’s weekly Parkrun, a 5km race held every Saturday in cities all over the UK. I wanted to get a good time. I knew I wouldn’t be able to beat my “personal best” time for that race. I hadn’t been running for a full month. 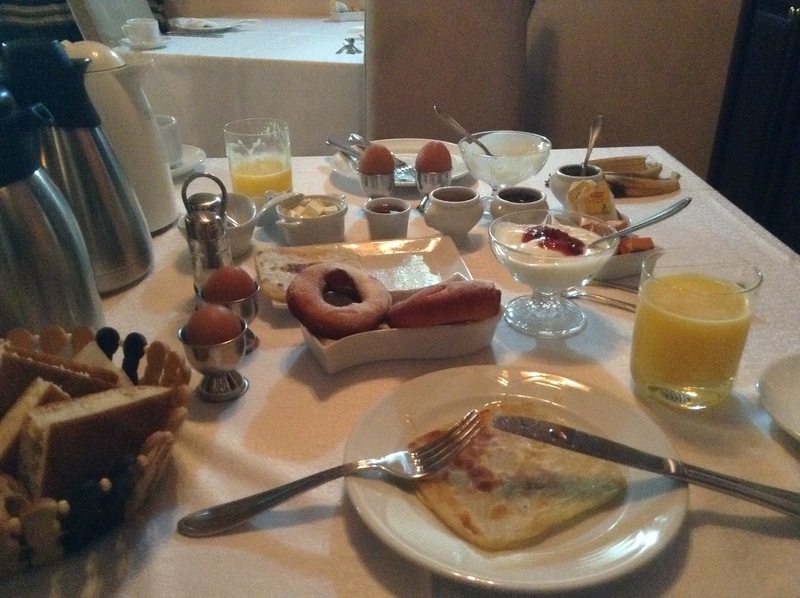 I needed the rest and recovery after successfully completing the Barcelona Marathon on March 15. The tendonitis I had for weeks building up to the marathon seemed to have mostly withered away. So I started out the week with a slow 5km jog, added a 15 min faster jog in the middle of the week, and hoped I would be able to do a decent 5km run at the end of it. The past few months I had been running in the cold of northern England. In the past few weeks, the cold had reached a below-freezing stage where I could feel my leg muscles clench from the cold. But as long as it wasn’t snowing or raining, running in temperatures above freezing was not so bad, I eventually realized. I would always warm up five minutes into the run and that was that. All I had to do afterwards was focus on getting through the run without needing to make a stop behind the bushes to pee in public. Running on snowy, icy, muddy ground was when it really got difficult for me. It’s almost impossible to fall into a comfortable stride. I’d look for slippery spots and play a complicated game of avoid-the-invisible-mines to make sure to stay injury-free. I need to stay injury free. The exhilarating road to Barcelona. city I was to pass through, copied some notes into an excel sheet, and barely read any of it. I knew that to save expenses I would need to camp frequently outside of cities and that my priority would always be to rest and eat to be ready for the next day’s cycle rather than to go see the sights. That’s why I’m usually quite surprised when I do get to stay inside a town and I find it a wonderful place to visit. Getting into Vilanova i la Geltru on the Mediterranean on day 14 was a big landmark day for me. 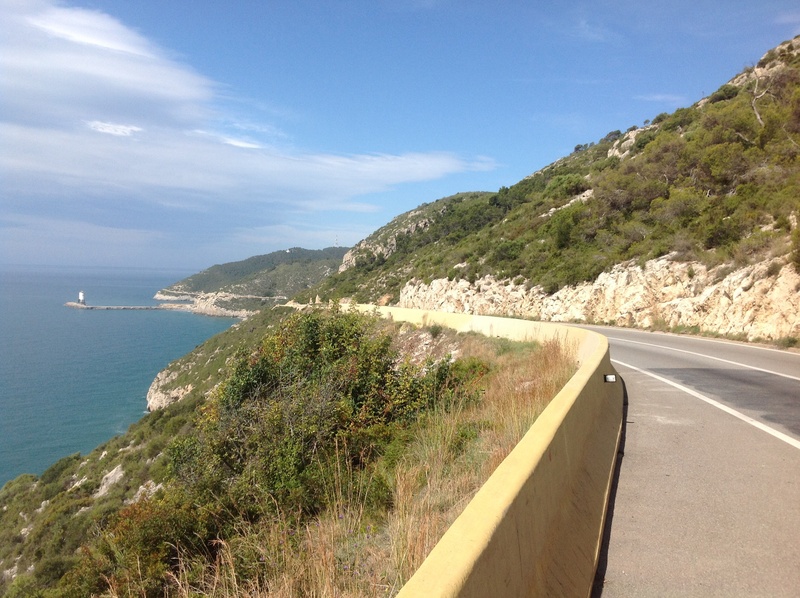 I cycled from the Atlantic to the Mediterranean in two weeks! Vilanova was a lovely little quaint resort town and I stayed in a small hotel on the sea. Nothing could beat that. 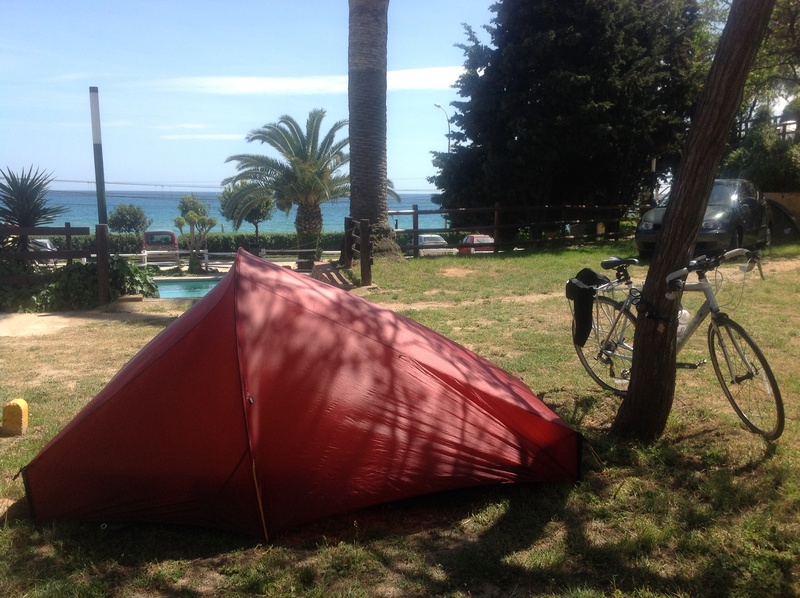 My camp in El Masnou, just outside Barcelona. Shut up! I framed the picture to show only the good parts! exhilarating. I was like a child in a candy shop when it came to cycling through Barcelona. I’ve visited the city many times before but it never loses its magic. That is, until the traffic gets to you. It took FOREVER to get from one side to the other. There were too many traffic lights that turned red too many times for too many cars, busses, motorcycles, and taxis. It reminded me of Cairo’s traffic, just a bit more organized. If I were to choose one reason for never wanting to go back to Cairo again, it would be the traffic. I’m serious.